Looking for a refreshing jolt to start the day? Iced coffee is the perfect option. 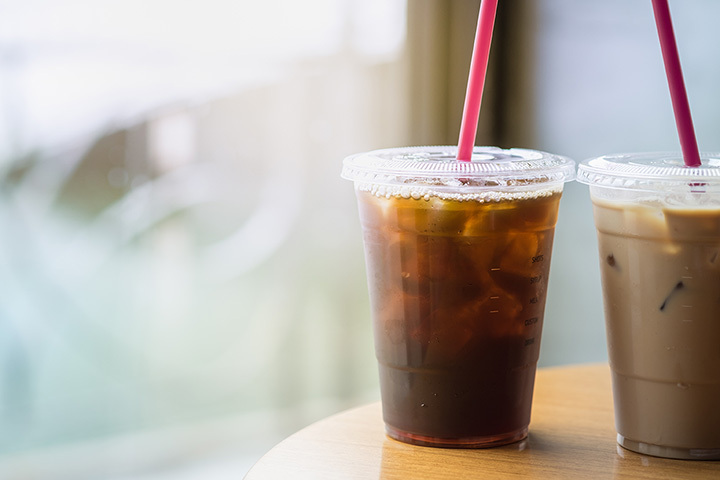 Featuring all of the wonderful flavors of coffee without the heat, iced coffee is generally less acidic tasting and can be had any time of year. So whether it’s a plain coffee with cream and sugar or a latte you’re craving, check out these North Dakota coffee shops for a invigorating cup of joe! Whether people watching while sipping on a cold brew or cracking open a laptop to get some work done, Bismarck’s Boneshaker Coffee Company has the perfect atmosphere for coffee lovers, no matter their needs! They offer not only delicious and refreshing iced coffee, but also plenty of other options from espresso to flavored coffee to teas. This coffee company is a favorite among students, especially because students can get 10 percent off by showing a student ID. With three convenient locations, Meg-A-Latte Coffee House is never too far away. They take their coffee seriously, which is roasted and shipped fresh once a week straight from Seattle. If you’re looking for something new, check out their seasonally themed “drinks of the month.” The menu offers gourmet coffee, tea, shakes, healthy smoothies, freshly made bagels, muffins, cookies, sweet rolls, and other desserts, as well as some of the best iced coffee around! All of their coffee choices are available hot or iced and include selections like breve, cafe au lait, cappuccino, caramel macchiato, coffee americano, latte, mocha, bulletproof coffee, nitro coffee, or sweet cream nitro. In the tiny prairie town of Rugby, the Coffee Cottage Cafe is a quaint and friendly coffee house where customers are always greeted with a smile and the wholesome smell of fresh pastries and strong coffee. From fresh, homemade pies to hearty meals to iced coffee drinks, there is a treat for all tastes here! The eatery is spick-and-span and is known around town for their service as well as their grub. Owned and operated by two families, Twenty Below Coffee Co. is a cornerstone of the Fargo community. Come by from noon to 1 p.m. for their community lunch hour, when they take the time to sit down and eat a serve-yourself, pay-what-you-can lunch. The menu has all variety of coffee and other delectable drinks, but their iced coffee is a local favorite. This coffeeshop uses only environmentally safe containers and locally sourced ingredients, making it a socially conscious stop. If you’re tired of quiet, quaint coffee shops, then the edgy and nontraditional Classic Rock Coffee is the place for you! The walls are decorated with instruments and painted groovy colors, making it a unique coffeehouse experience. The menu includes flavored coffee, protein shakes, traditional coffee, delicious food, and, of course, plenty of iced coffee to choose from. From chai lattes to drip coffee to hot chocolate to iced coffee, Spillway Coffee House has something for every coffee lover. Spruce up your drink by adding one of their 17 available flavors, like toasted marshmallow, salted caramel, English toffee, raspberry, white chocolate peppermint, pumpkin pie, among many other choices. There also a food menu for breakfast, lunch, and dinner. Or satisfy your sweet tooth by tasting one of their unique ice cream flavors! Babb’s Coffee House is well known among local iced coffee enthusiasts for their brew’s delicious flavor, as well as the huge selection. They offer iced coffee, made using cold-pressed Toddy coffee served over ice; iced americano, with espresso and water served over ice; iced breve, with espresso and half and half served over ice; iced latte, with espresso and whole milk over ice; iced flavored latte; iced mocha, with espresso, chocolate, and whole milk served over ice; iced white chocolate mocha; iced caramel macchiato; or iced Seattle Toddy, with cold-pressed Toddy Coffee, half and half, and choice of flavor served over ice. Coffee isn’t their only specialty though. The menu also offers breakfast food, cold sandwiches, paninis, soups, salads, and quesadillas. Babb’s has locations in downtown Fargo and Jamestown. Atomic Coffee is an environmentally conscious, chic coffee house that is the talk among Fargo coffee lovers. Located in the heart of downtown Fargo, the menu offers delicious fare with vegan and vegetarian options, as well as a huge array of drink choices including plenty of iced coffee. Take a glance at the innovative art on the walls from the “artist of the month” while sipping on a fresh brew, or sit down on the plush chairs and soak in the warm atmosphere! Grain Bin Coffee in Harvey promises customers a “big city flavor with a small town feel,” and they certainly deliver time and time again. This family owned and operated shop roasts their own beans, delivered fresh from Mexico, fresh to order. Not only do they have unbeatable traditional coffee and iced coffee, but the atmosphere is warm and friendly, making it a wonderful place to stop, sit, and enjoy a hot beverage. There is no breakfast more iconic than a donut and coffee, except maybe a donut and an iced coffee! Take time for an all-American breakfast at the famous Sandy’s Donuts & Coffee Shop, with locations in Fargo and West Fargo. From a s’mores long john to “dirt & worms” donut to maple walnut cinnamon rolls, there is a treat for all taste buds here. All of these sweet treats go perfectly with one of their fresh iced coffees!